Q. Should you have children past 35? A. No, 35 children is plenty. Well, it has been a while. Not that life has been that boring, but it has been busy. On top of the busyness, my days have been cut short. Well, my hours of productivity that is. Yes, even during my 12th pregnancy, I’m still exhausted and sick. Oh, did you catch that? I am 10 1/2 weeks pregnant! Yay! The Lord’s ways are truly not our ways, are they? 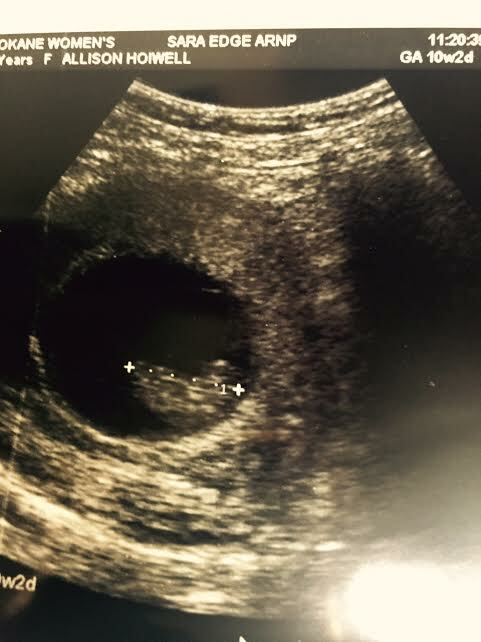 Now, I have had 2 miscarriages past this point, but I decided 5 weeks ago I would officially announce this baby when I had my 10 week ultrasound. My due date is March 13, 2016- I will still be 41 then. It still looks like a jelly bean, but moves around much better than one! So yes, everyone is very excited. Hailey is especially excited that I’m not as sick as I was with Eva. Nobody (especially me) wanted that person to visit again. For now, I am spending my afternoons and evenings in bed. Mornings are my best hours, I try to get a lot done before lunch. We have had names picked out since before we discovered we were expecting this little miracle, but you will have to wait 8 more weeks to learn those until I find out if we will be using the boy or girl names! So, with that announcement, I will continue to tell you that Adrian is doing great at ERT- he loves SCUBA diving, has earned A’s on all his written tests, and has enjoyed search and rescue, sawyer work (chainsaw), high-angle rescue (repelling/cliff rescue) and is now doing wildfire fighting. ERT ends in October, at which time he will take EMT- Basic (the pre-requisite to the Paramedic course he’ll start in January). It’s nice that we get to talk to him at least weekly. He doesn’t have a lot of free time, but that’s probably a good thing. Hailey is busy at McDonalds, but feels called to be there, so she is happy. Clara is at church camp right now, I’m sure she’s having a blast. Presley has dressed the boys up and has been making them ballroom dance with her today. I’m rather surprised they are cooperating- well, surprised with Cory at least, that’s actually right up J’onn’s alley. Eva’s latest trick is that she jumps off of high things THEN yells “Catch!” That is a stressful game. Madeline has just started fighting with her- that means Madeline is now 24 months mentally! That’s growth! As soon as Eva passes her up, Madeline will be nice again. I don’t know why, but that’s just how it works with her. So, we appreciate your prayers. We are blessed with each imperfect, time consuming responsibility the Lord decides to gift to us to care for in this life. I can think of no better sacrifice (physically, time-wise, financially, freedom limiting, etc….) than having kids and raising them in the knowledge of the Lord. By far the most important “success factor” in this life is that they know their Savior personally. So far so good. Thank you for rejoicing with us.